Apple has been granted a patent for a wearable blood pressure monitor that suggests it's all about helping those who suffer from hypertension. 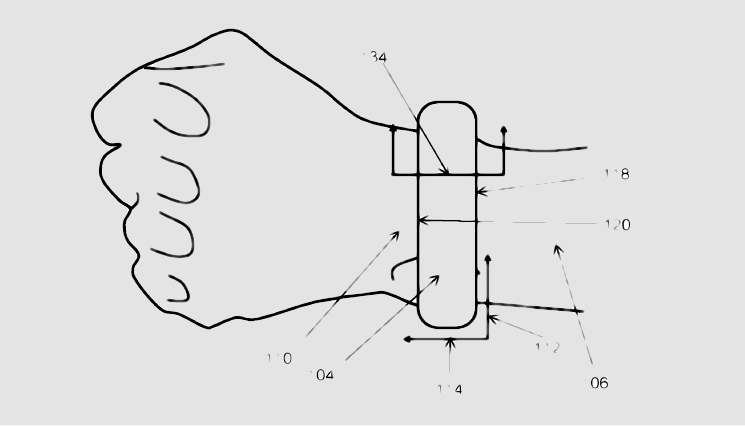 The patent, which was filed back in 2015, outlines, "A blood pressure measurement system, comprising: a pressure sensor; an expandable member comprising a plurality of expandable cells, wherein the plurality of expandable cells comprises at least three expandable cells or at least two repeating expandable cells; and an expansion actuator configured to selectively expand the expandable member." In terms of a design, it doesn't look anything like an Apple Watch, or a smartwatch for that matter, instead taking shape of a cuff or a watch band (smart straps, anyone?). The patent also suggests it could potentially include a touchscreen and even have Bluetooth compatibility. Almost all blood pressure monitors on the market currently use an inflatable cuff setup that cuts off blood flow to take measurements. It looks like Apple's approach will do something similar, the difference being here is that its device would include one or multiple sensors inside of the "expandable cells" to provide the blood pressure readings from the leg or even the arm. This isn't the first time we've seen evidence of Apple's plans to explore blood pressure monitoring. A previous filing, uncovered by the folks at Patently Apple, described a method whereby the Apple Watch could pick up readings with a sensor-equipped strap measuring pulse transit time, which can be used to calculate blood pressure. Apple isn't the only one in this game, either. The recently announced Asus VivoWatch BP smartwatch promises medical-grade blood pressure monitoring using light-based, optical sensors to deliver blood pressure readings in real time. Blood pressure monitor king Omron is also readying its own smartwatch-style monitor, the Omron HeartGuide, for release later this year - providing it receives FDA approval. The question now becomes whether Apple's patent will come to fruition. It appears to rely on existing technology, with the main challenge being that it can be fitted into something that's slim enough to wear on different parts of the body. There's been talk of Apple Watch smart straps for some time now, which could potentially arrive with the Watch Series 4 or a future Watch. What is clear is that with ambitions to tackle sleep disorders like sleep apnea and heart conditions like atrial fibrillation, Apple has set its sights on really making a difference with its current wearables and the ones to come.